It is not the global economy that has caused the struggles of African countries today, says the African Development Bank’s president, Akinwumi Adesina. These struggles exist because the continent’s economic growth over the last decade has been mostly based on commodity-based exports. Africa’s economies have been hit hard by current global realities. China’s declining commodity consumption has meant that its imports from Africa fell almost 40% last year. The low oil price – down around 70% since mid-2014 – has left oil-dependent export nations like Angola with considerably less revenue, while the slump in other commodity prices has been felt from Zambia to South Africa to Liberia. Furthermore, a strong US dollar has meant much of the continent’s imports (which are typically higher up the value chain) cost more. The result has placed pressure on current accounts, and weakened local currencies. 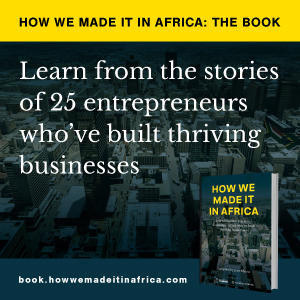 “We have all these economic headwinds, but they exist because of the nature of [Africa’s] growth process,” said Adesina during a panel discussion titled ‘Africa’s Next Challenge’ at the 2016 World Economic Forum. He highlights four ways that African economies can reduce their exposure to global volatility. He emphasises that economies should diversify their export mix to prevent an over-reliance on one industry, as well as by adding value to exports. A strong dollar environment would be an advantage if African exports were higher up the global value chains. Adesina highlighted that the 26-country continental trade bloc – consisting of the Common Market for East and Southern Africa (COMESA), the East African Community (EAC) and the Southern African Development Community (SADC) – has a combined economy of US$1tr. With the global population expected to be over nine billion by 2050 – and Africa hosting the majority of the world’s uncultivated, arable land – Adesina notes the continent has a competitive advantage in farming. However, food processing industries need to be developed to ensure Africa generates a greater share of food profits. The continent needs to develop its infrastructure to solve its energy crisis, beneficiate, and boost regional trade. But to achieve this there needs to be the support of African governments. “That political will is critical,” ends Adesina.